The other half was a hugely expanded training programme to provide the personnel to crew all of the hundreds of new craft of every size, and to make up for war losses. DESCRIPTION: The history of the Royal Navy has been studded with examples of incompetent and venial politicians spending peace dividends and leaving the RN to pick up the pieces when war threatens. The 1930s were no exception. Fortunately, Britain had a professional naval officer class that had learned over centuries to fight a holding action until they could correct the deficiencies of the politicians and win the war. The first step was to hold extensive naval exercises in 1939, mobilize reserves, and then delay standing the force down. The result was that RN warships were on war station when Germany refused to withdraw from its invasion of Poland, fuel and supplies were already on hand at stations around the world ready to replenish warships. Plans accelerated to build new warships in increasing numbers and to undertake an amazing coastal forces building programme that was, with for example the Fairmile Motor Boats, to mobilize furniture factories, craftsmen, blacksmiths and small yacht yards to build hundreds of wooden coastal warships, using a flat-pack system of component production scattered across Britain and delivering kits to be assembled in yards too small to have previous warship building experience. Naval intelligence also deployed SIGINT skills to provide the Admiralty with intelligence on German dispositions and signals traffic. However, all of those vital steps collectively were only half the answer. The other half was a hugely expanded training programme to provide the personnel to crew all of the hundreds of new craft of every size, and to make up for war losses. This was not good news for some senior rates who would otherwise have expected to become Commissioned Officers, because the RN was to have no shortage of young junior hostilities only officers but would need every seasoned senior NCO to guide the new intakes of young sailors and officers. The author has done his usual skilled job of assembling a host of information and presenting it in a very readable format. This is an excellent source book for every naval history enthusiast, but it is also more than that. 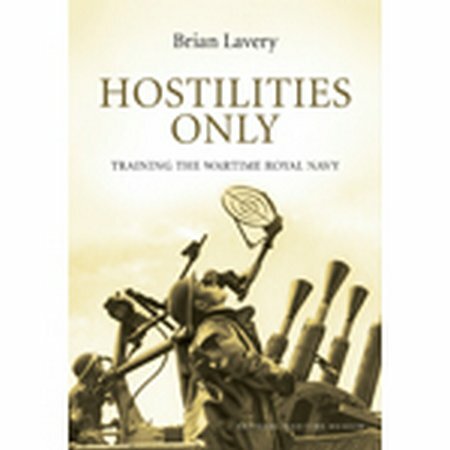 What the book demonstrates is how centuries of experience in peace and war have created a Royal Navy that can respond very rapidly to new challenges and train very large numbers of very unskilled raw recruits to produce the manpower required in major war across the sea lanes of the world. Even in the Twenty First Century, when politicians have again over spent any possible peace dividend, the RN’s heritage provides an assurance that recovery in time of war is still a uniquely British capability. In fact, during the alleged period of peace dividends Britain has been continuously at war somewhere in the world and has accepted several major war commitments at the same time, depending on the RN to correct the malefactions of politicians. This is a book that should be widely read and every MP should receive a copy to remind them that even their profligacy and self-serving incompetence can be reversed, but that lives could be saved by learning skills developed by competent professions.